This portable version is the go-to option for fieldwork. It's very well suited for use in environmental survey or incident response work carried out; at remote locations, datacenters, equipment rooms, and customer premises. It's equally at home in use within test labs and continuous integration environments. Where it's API can be used within test rigs and automated testing routines. The server is highly portable weighing in at just over 14kg. 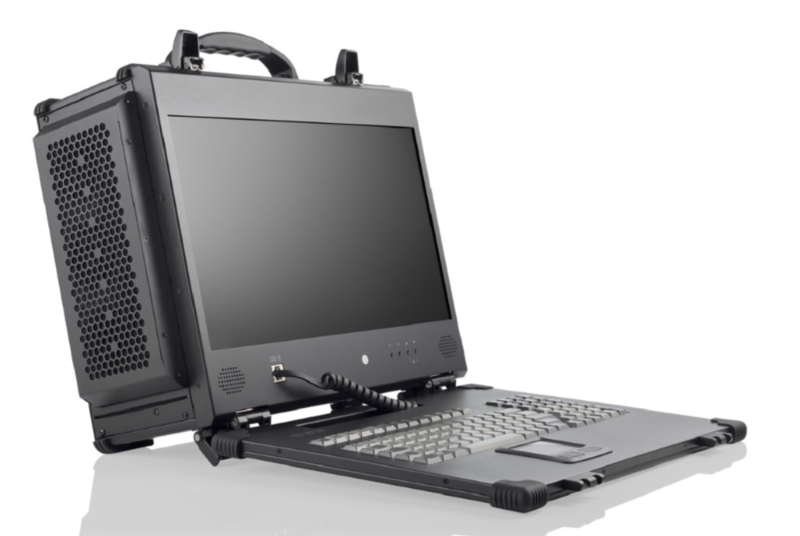 It comes supplied in a wheeled padded transit trolley and the computer itself is housed in a fully ruggedised case. Featuring a drop-down full sized keyboard and track pad it is designed to be easy to use from the off. Ease of use has been a key factor throughout the design process. All functions (record, capture and replay) are controlled through the intuitive user interface. Supplied with removable SSD RAID storage, providing a platform of scaleable storage for the signals and network traffic you are likely to need to record. Storage management is also performed using the user interface. The system is capable of recording loss less network traffic at a sustained rate of up to 40Gbps. A fully featured suite of analysis tools provides you with the capability to undertake in-depth analysis of any network traffic recorded. Alternatively PCAP files can be recorded and stored for inspection and off-line analysis back in your office or lab. All recorded formats can be replayed, including raw mode, making it an extremely flexible tool. The replay format does not need to be the same as the original recorded format. For example, ethernet traffic recorded at 40Gb/s LAN can be replayed as 10Gb/s WAN.